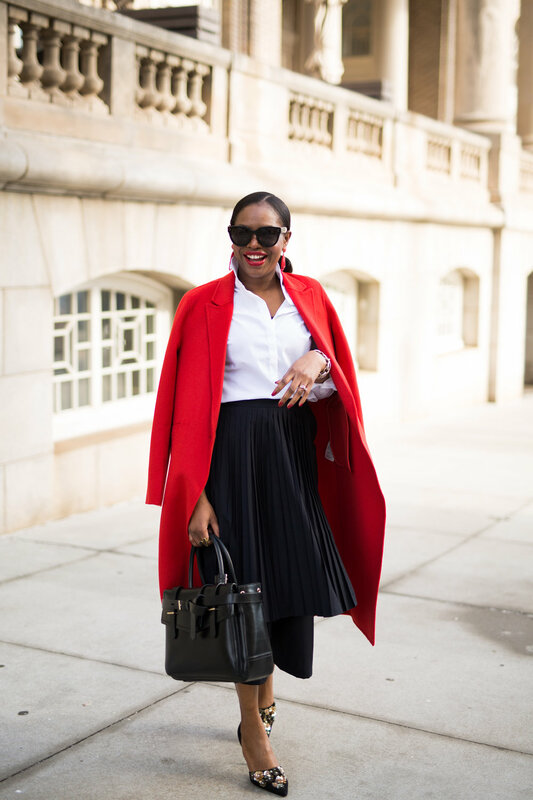 Hey Style Lovers, happy Monday! 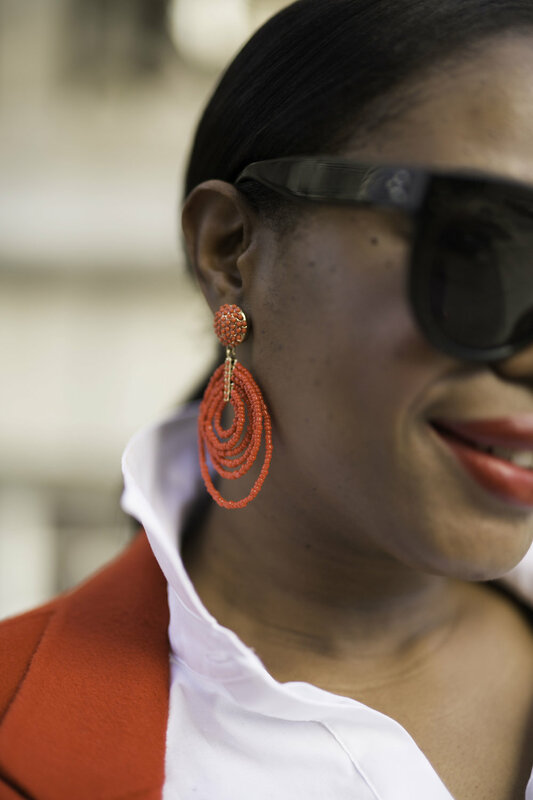 I’m so excited about this Monday, because today I am launching the 1st ebook from my style series, which will highlight the essentials for creating the perfect wardrobe. This has been something I have been working on, and pushing back for years, so you can only imagine how excited I’m to finally have it published! It really is important to surround yourself with a squad who encourages your passion, and pushes you until you get it done! 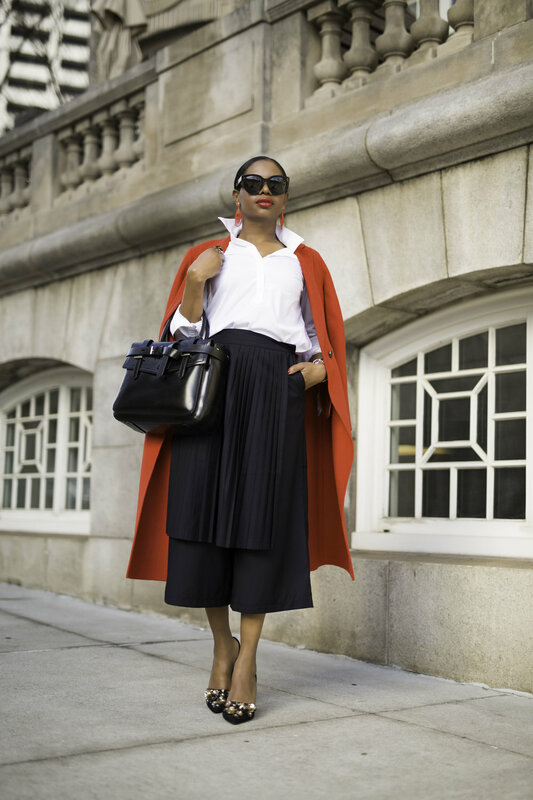 Today’s look is all about drama! 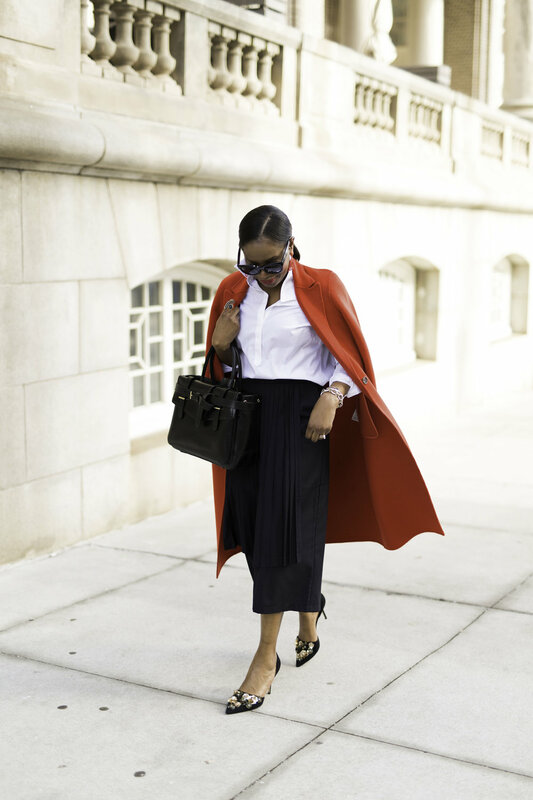 Shot on the streets of Atlanta, this outfit features clean, and classic pieces to create a look that is versatile, and stylish. 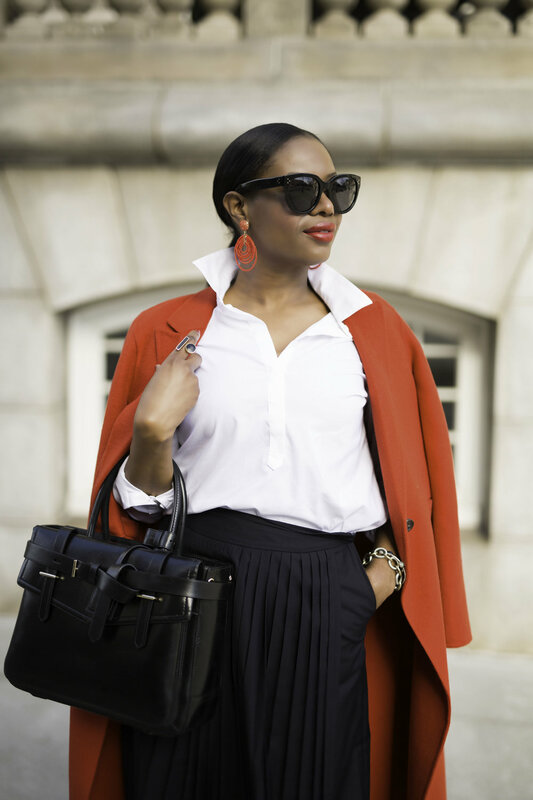 A clean white shirt is absolutely necessary and I highlight it in my book on how it transforms an outfit. 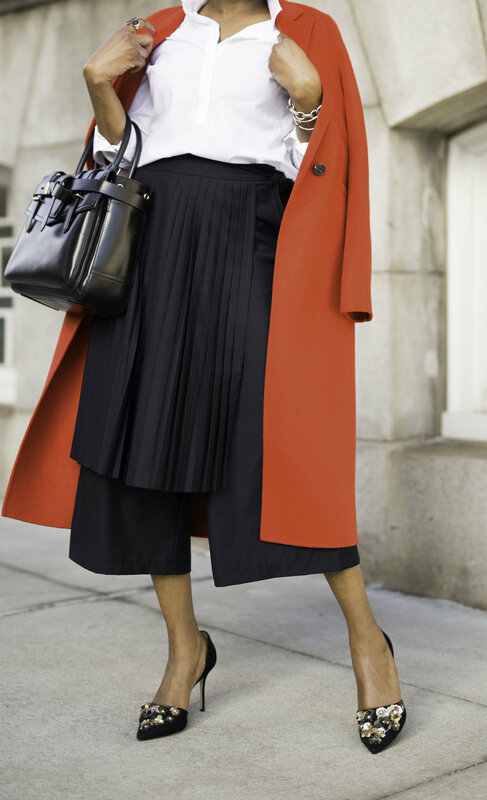 A pair of high-waist culottes, and the red over coat add good drama, making the look interesting. To dress up the look I added a pair of embellished pumps. The beauty of this addition, is that it doesn’t overpower the look, instead it adds just the right amount of chic. 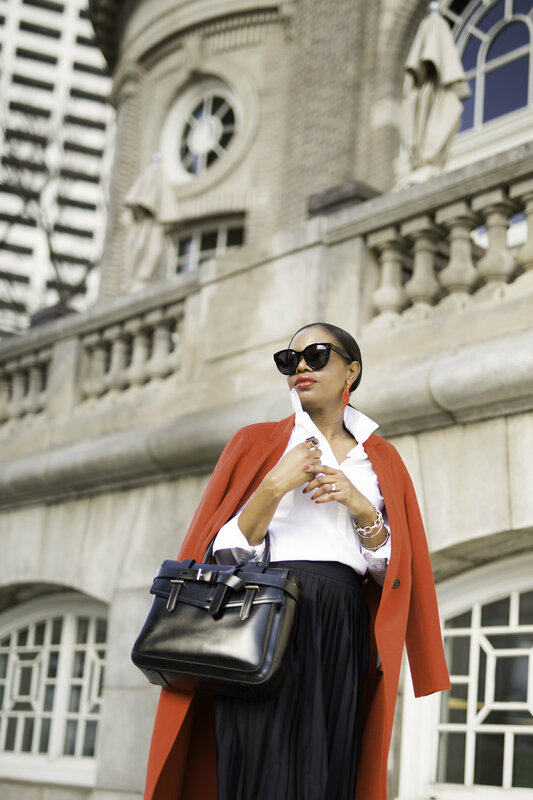 Lastly a classic tote doubles up as a briefcase making this look perfect for work. 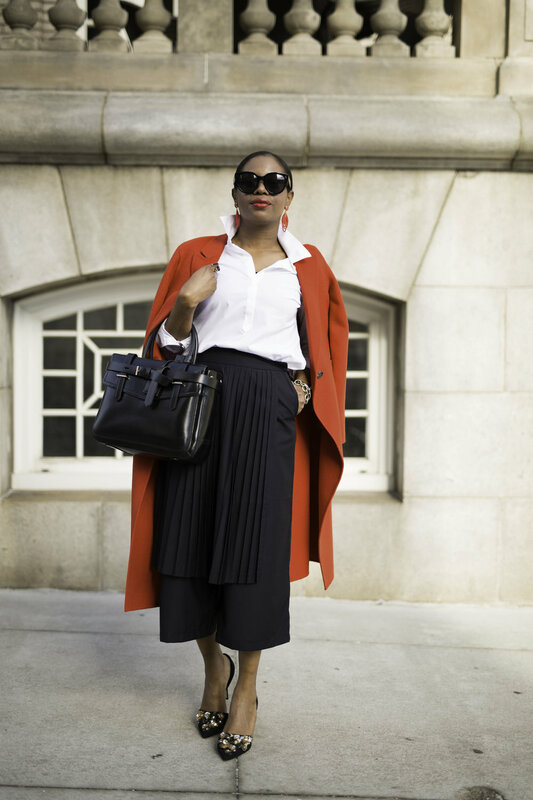 I hope you guys get inspired by this look and use the links to shop the post. I also hope you pick up a copy of my Style Ebook. It truly was a labor of love and I kept you, the everyday woman in mind when creating it. If you do pick up a copy I would love your feedback. I’m currently working on the spring book, and I want to make sure it’s perfect! Have an amazing Monday, and week lovelies!